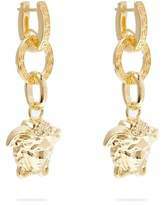 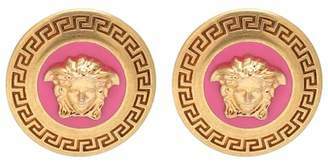 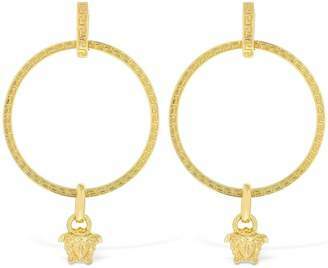 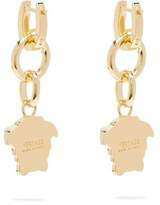 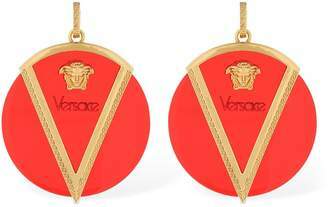 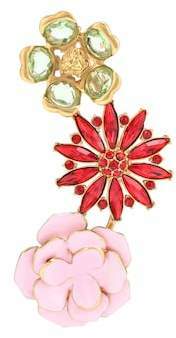 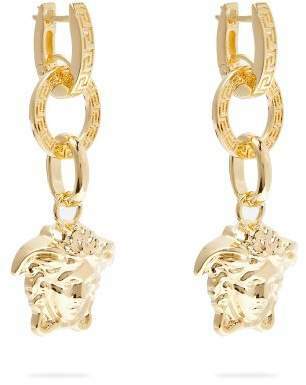 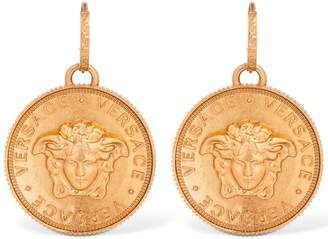 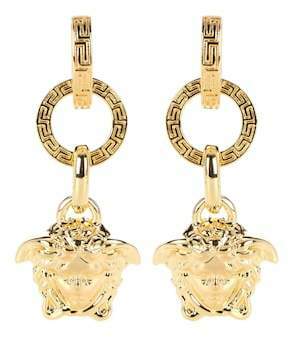 Versace - Strung with signature Medusa head charms that are instantly recognisable to knowing eyes, Versace's gold-tone brass earrings are a striking statement style. 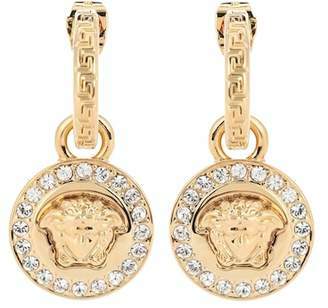 They're crafted in Italy with oval and hoop drops which are engraved with the label's distinctive Greek Key border. 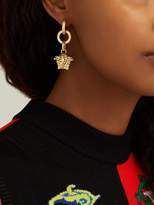 Keep them in focus by wearing your hair swept back.